Squad Charity League : Squad – Communicate. Coordinate. Conquer. What is the Squad Charity League? 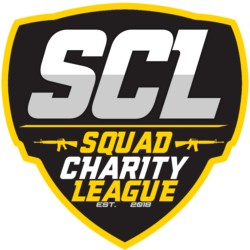 Squad Charity League is an international fundraiser benefiting charities and causes the community is passionate about. Using our Twitch page, our first tournament will be fundraising for Doctors Without Borders starting Saturday, August 4th. The tournament will be an elimination-style tournament, with 8 teams fighting to become the final victor. This type of tournament has never been done at this scale within Squad, so be sure to tune in! Directed by BigJimmyHD, RedBaron, and [Ops] Jack, SCL provides a professional viewing experience that aims to promote positivity within the Squad community. Squad Charity League’s first round will be kicking off on August 4th, with the next round of matches on each following Saturday (August 11th & 18th). We will be fundraising on our Twitch livestream, which will be using the Squad Ops Multicam system! Check out this handy UTC Time Zone Converter to convert the time zones!